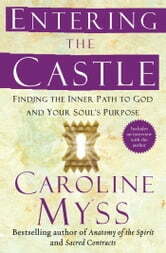 Internationally renowned motivational teacher, spiritual instructor, and popular theologian Caroline Myss has created a transcendent work of unique insight and revelation in Entering the Castle. This exciting new teaching of contemporary mysticism is also a brilliant synthesis of the psychology of consciousness and of Eastern and Western mystical traditions. Myss provides a highly original inner path to self-knowledge -- which is also the road into a spiritual knowledge of God and your own soul -- as she reveals a necessary external path, one that takes you out into the world to serve God and others as a mystic without a monastery -- without having to retreat into total silence, self-denial, or isolation. As her main template for this extraordinary, modern spiritual journey, Myss uses the beloved, revered writings of The Interior Castle by Teresa of Ávila. Adapting Teresa's vision of the soul as a beautiful crystal castle with many floors, or mansions, and many rooms within those mansions, Myss guides us from room to room, helping us meet different aspects of our self, our soul, and our spirit -- preparing us for the ultimate encounter with God and our own divinity. Through intense practices and methods of spiritual inquiry adapted for contemporary life, she helps us to develop our personal powers of prayer, contemplation, and intuition and to ascend the seven levels of soul knowledge that build an ever stronger interior castle of our own -- a soul of strength and stamina. As in all her books, Myss also recounts stories of profoundly moving real-life experiences -- of her own, as well as of her students and of renowned spiritual figures -- that bring home the universal truth of her insights. Presiding over the entire book and journey are the great mystics, ancient and contemporary, of Christianity, Judaism, Islam, and Hinduism with their inspiring lives and discerning spirits. And over all, the benevolence, truth, and gentle and tough love of Teresa of Ávila shine through. 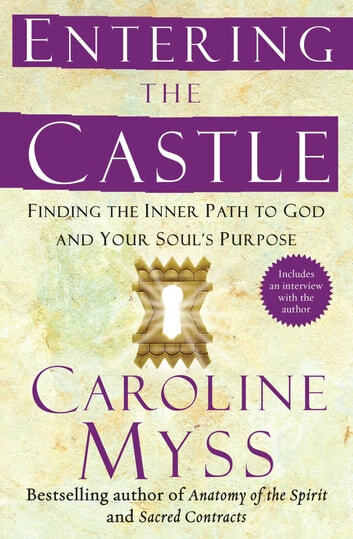 Doubtless Myss's most deeply personal, revealing, compassionate, and transforming book yet, Entering the Castle is a comprehensive guidebook for the journey of your life -- a journey into the center of your soul. There, peace, God, and a fearless bliss wait for you to discover them...and claim them for your own.